We are pleased that you have chosen to visit us. In Slovakia the prices are much lower then other EU countries, not to mention UK. For example a O.5 l quality beer in restaurants and bars costs only 2O-22 Sk which is only O.5 EUR Food is also cheaper, dinner or lunch will cost only around 4-6 EUR. Shopping is possible in Banská Bystrica, where you can choose from a variety of shops, at good prices. 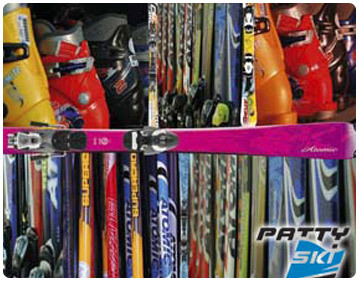 Bars are also cheap, and you can find many different types of them, which will satisfy everybody. 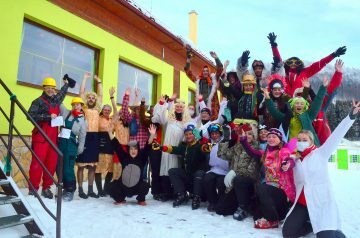 The community of Donovaly is spread over a mountain plateau at 990 meters above sea level, through which runs an important route joining northern and southern Slovakia. 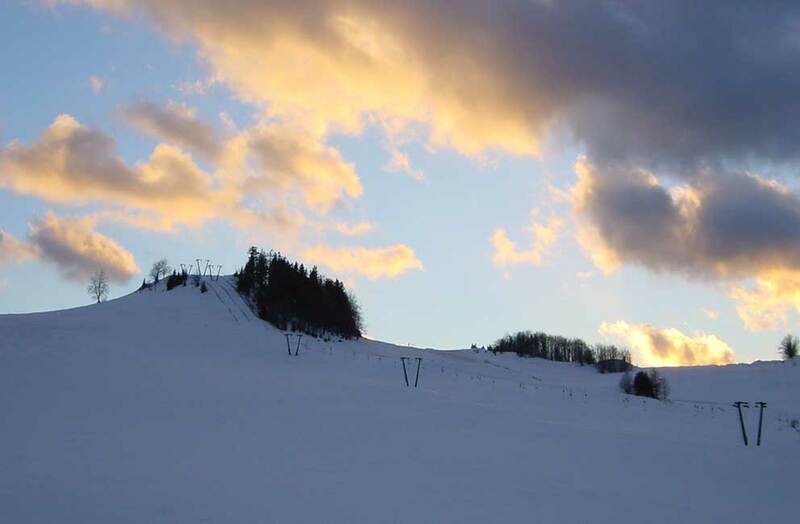 It is a sought-after site for summer mountain tourism and winter skiing, both alpine and classic downhill. 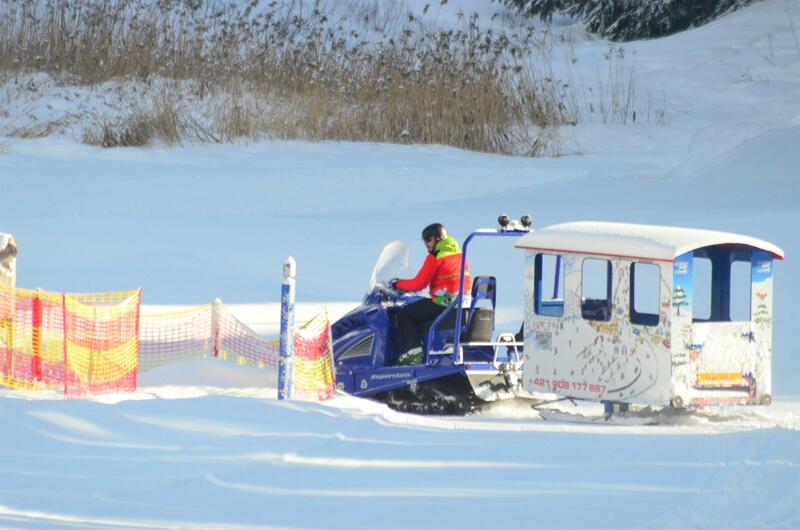 A novel feature of recent years is the popular European snow dog-team trials. This former mining center is now the administrative center for the Bully, Misuty, Mistriky and Hanesy principalities. In the center of the town stands a classical church dating from the year 1825 with its original interior. In various places is to be found typical folk architecture, for example log cabins and glassed-in south-facing verandas. Recently many of these buildings have been refurbished for tourism and recreation. If your taste lies in hiking tours over a number of days along the Nizke Tatry ridge, and you wish to acclimatize and get into shape, you’ve chosen the ideal spot. You could for example start from Donovaly along the red-marked mountain path to the highest point of the Nizke Tatry, a 3 to 6 day hike. According to your personal physical condition and weather, you could decide to stop your tour at various places along the path, among others at Chopok where the seat-lift has its final station at an elevation of 2,005 meters. From here, it’s possible to travel by the lift to Jasná, continuing either by bus to Liptovsky Mikulás or by the lift to Srdiecko and then by bus to Banská Bystrica. From Chopok it’s also possible to continue hiking eastwards to Dumbier, the highest mountain in the Nizke Tatry at 2,043 meters, from there along to the plateau named Certovica where you’ll find bus connections to the south or northern Nizke Tatry. The more dedicated hiker will continue traveling to the most easterly part of the range, where its attractions culminate at the romantic Kralova Hola. We would remind hikers that in such mountain conditions, appropriate outfitting, including tent and sleeping bag, is essential. We offer a short informational package for all but shorter few hour trips in the vicinity of the campsite. This guide is especially beneficial for car trips farther a field, mostly circular routes to the most attractive sites, castles, historic folk dwellings, stalactite and ice caves, thermal springs, traditional architecture and various memorials. Most of these trips can be covered in a half-day’s driving (110 to 250 km.) and depend only on one’s particular interest. Be forewarned, most of these mountain roads are narrow, winding routes leading to pretty romantic destinations in the Liptov. Orava, Pohronie, Turiec and Horehronie mountain regions. 1. Orava Castle – an imposing, conserved castle above 112-meter high cliffs overlooking the Orava River in the community of Oravsky Podzámok. Its highest point, with breathtaking scenery, is the citadel, whose central section is the palace of count Palffy, Korvin and Jan of Dubová. The lower part features the Thurzo palace and chapel. The castle was initially constructed in the 13th century and has undergone a number of renovations, most recently in the 1953-1968 period. The castle has been designated a National Cultural Site in which are displayed archeological, historic, ethnographic, and natural science exhibits of the Orava museum. 2. Museum of the Orava Country Village – situated in a mountain pasture called Brestova by the community of Zuberec on the road to Zverovka (Rohače). In its wonderful natural setting, the museum is composed of typical Oravian buildings with various functions in everyday village life. A babbling mountain brook runs through the museum, which offers a classic Oravian pub just inside its gates. 3. The Thermal Springs in Besenová – The trip home offers a number of alternatives. 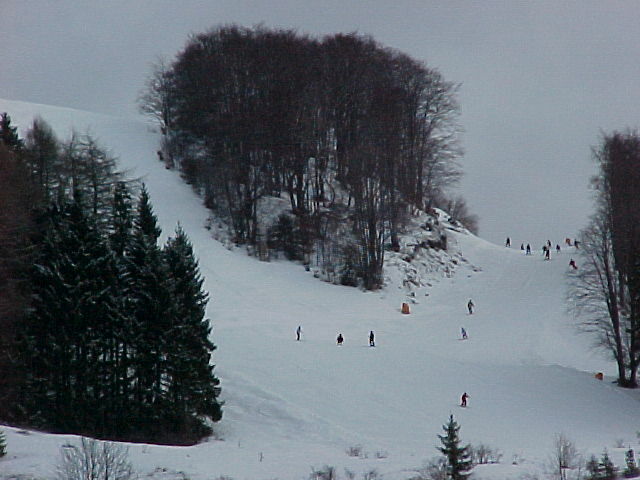 The shortest runs through pretty natural scenery from Zuberec south to Liptovské Matiasovce, Liptovska Sielnica. Liptovská Teplá and then to Besenová and Ruzomberok. The thermal spa in Besenová is in operation throughout the year, offering a number of baths of varying temperatures, natural mineral water, a sauna and restaurant. Comes highly recommended, as does the water works Liptovská Mara half way down Liptov mountain. Take the turning at Liptovská Sielnica, around 8 km. This dam offers good water sports facilities and swimming. On its northern bank is the Liptovsky Trnovec sports complex as well as boat docking, beaches, fishing and the like. 4. Ruzomberok – lies on the western section of the Liptov basin spread over the banks of the river Vah, Extensive cellulose, wood mills and textile industry. There is an interesting original Gothic church, much moved and added to in the 14th, 16th and 18th centuries. The classical Calvary rising up above the town dates from 1859. The Liptov museum and art gallery features the paintings of local son, Ludovit Fulla, From the suburb of Hrabova, a cabin lift travels up to the Malino Brdo mountain center, renowned for it’s skiing. Nearby Vlkolinec, located in the Velká Fatra range above the Revácka valley, offers visitors a look at historic high mountain Slovakia with its wooden cabins and collection of village economy buildings perfectly preserved. This living memorial was added to the List of World Cultural and Nature Heritage in 1993. II. 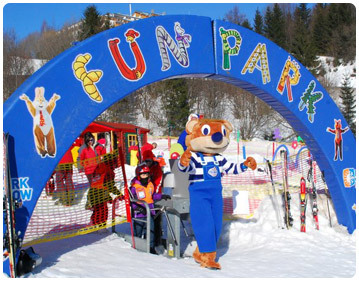 CENTRAL NIZKE TATRY CIRCUIT – the world-famous Demanovská valley with its stalagmite and ice caves is to be found here. The trip on the lift to Chopok at 2.005 meters above sea level is well worth experiencing. The round trip to this region is 120 km., 40 of them by motorway. The route runs through Ruzomberok and Liptovsky Mikulás to Demänová valley and its main centers. Jasná and Záhradky and back along the same roads. Demanovská valley is 15 km. of the most beautiful and also the most well known nature reservation. Of its approximately 30 caves, two stalactite and one ice cave are open to the public. On entering the valley one first encounters the Ice Cave. The total length of the cavern system is 1,655 meters, 680 of which ore part of the 40 minute tour. At an elevation of 680 meters, the entrance is a pleasant 15 minutes stroll from the parking area. The first mention of this ice cave dates from the year 1299, At the end and deepest part of the valley is Jasná, well-known for its winter sports facilities throughout Slovakia and specializing in alpine skiing with several lifts and cable cars. From here as well as from Záhradky cable cars access Chopok in the central part of the Nizke Tatry. The northern face of Chopok is connected by lift with Jasná, the southern to Srdie6ko, As one continues up the valley a further two or three kilometers, the Sloboda Stalactite Cave, Slovakia’s most impressive, is found. It was discovered in 1921 and opened for tourism three years later. The tour of this underground paradise is 1,880 meters, a fraction of its total extent of over seven kilometers. The five-leveled multi-colored system offers the visitor its bizarre stalactite shapes at an altitude of 870 meters. Seat lifts or a fifteen-minute walk from the parking area facilitates access to the cave. III. POHRONIE CIRCUIT – This route follows the lowlands of the river Hron. Although the total length is only 220 kin, the wise tourist allows an entire day to explore its curiosities and historic sites to their fullest. The route winds towards the southern part of central Slovakia, visiting Banská Bystrica, Zvolen, Banská Stiavnica, Ziar nad Hronom, Kreimnica, Harmanec. 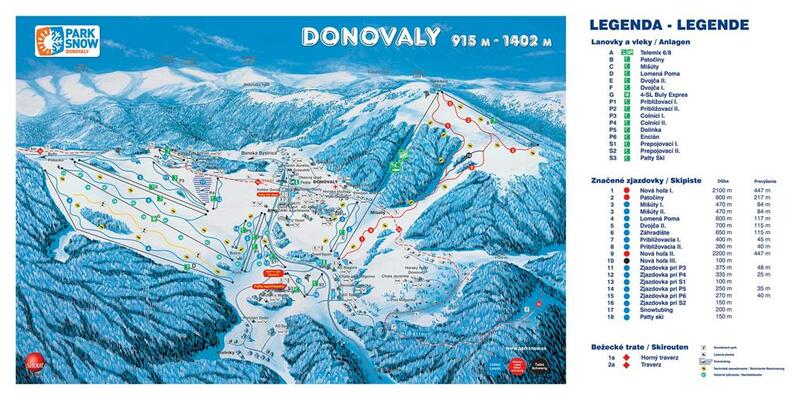 And back to Donovaly. On the way, one can visit two thermal springs Ková6ová near Zvolen and Vyhne in the vicinity of Ziar. A spa with thermal waters is located in the town of Kremnica while Harmanec offers a stalactite cave. Banská Bystrica and its memorial conservation zone. The town was chartered in 1255 after German migrants settled in the area and from the 14th century began mining gold and silver in the vicinity, later exploiting its copper and lead resources. Over time, the ore ran out. The town castle, built in stages throughout the 15th and 16th centuries, is a national cultural memorial. It includes the diocese church of the Virgin Mary, the Matej house, the Praestorium, the former town hall, the castle walls and ramparts, its entrance with tower and barbicans, the church and residence of bygone diocese priests. The newly renovated town square with its famous leaning tower, inclining 55cm., is a sight to behold. There are several town houses of Gothic origin, done over in Renaissance style in the 16th and 17th centuries, most notably the Turzo and Benicky residences. Banská Stiavnica – well-known mining town in the Stiavnica mountain range. The exploitation of metals including gold and silver began in 1075 and ranked the town among the leading mediaeval mines, German migrants, specialists in the techniques of their industry, began settling the area in the 12th century. Their development of mining went hand in hand with the evolution of the town itself, as it opened its first mining school in 1735 and in 1763 a mining academy, the first university in Europe devoted to this craft, It would later be joined by a Forestry academy. 1627 saw the first use of gunpowder and the use of four-wheeled carts in mines was inaugurated here. Another exceptional contribution to the industry was its water technology system, employing water barriers as an energy source in mining. These innovations can be inspected more closely through tours of the mines, The town memorial area includes the 16th century fort, the former Romanesque church of the Virgin Mary, the St. Michael chapel and burial chambers, and the town fortifications with entry gate and ramparts. Besides these, there are the New Fort, built from 1564-157 1 to defend against the Turks with a guard tower at its highest point overlooking the town, the later Gothic church of St. Catherine, the Romanesque church of the Ascension of Mary, baroque town house on the Blessed Trinity square with its namesake statue, On December, 1993 the town was declared a UNESCO World Culture and Nature Heritage member. Five kilometers south of Banská Stiavnica is located the very scenic preserved baroque manor house at Antol, constructed in 1774 on the site of a mediaeval castle. Here is to be viewed a large collection of hunting trophies, porcelain, and remainders of the original manor furnishings, around the house spreads a park noted for its distinguished shrubbery dating from the early bronze age. Vyhne – a spa town in the Stiavnica range, originally a mining settlement with resources of gold and silver and later, iron, Its thermal springs have been in use since the 15th century and a spa built here in the 18th. Today’s enlarged natural thermal baths and various healing homes make it a functioning part of the health care system. In the vicinity are unique natural formations such as the stone sea and the like. Harmanec Stalactite Cave – offers visitors rich mineral decoration in a 720-meter tour. The cave is at an elevation of 821 m. and the walk from the parking area lasts 40 minutes. IV. TURIEC REGION CIRCUIT – due to its beauty is referred to as the Turiec Garden. It is an area of lovely landscapes and picturesque deep valleys (Gaderská, Blatnická, Kantorska), lush forests and a richness of cultural-historic and folk art memorials, In the center of Turiec stands St. Martin’s, from the middle of the nineteenth century a center of the nationalistic and cultural movement. The total length of this circuit is 120 km. Go south from Donovaly through Stare Hory, turn off to Harmanec, Dolna Stubna, Mosovce, Blatnica to Martin and from there through Sucany, Ruzomberok and back to Donovaly. Martin. 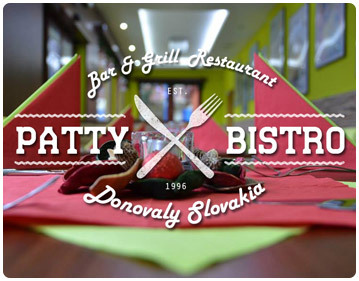 situated on the northern side of the Turciansky Basin surrounded by the peaks of the Nizke Tatry and Velká Fatra ranges. Museum hosts the work of the well-known artist, Martin Benka, who lived and worked in the town. A very beautiful and interesting exhibition in the countryside is the Museum of the Slovak village Jahodnicky Háj where individual regions of the country have accumulated their typical village architectural styles. From the suburb of Podstranie a cable car runs up to the winter ski resort Martinské Hole. 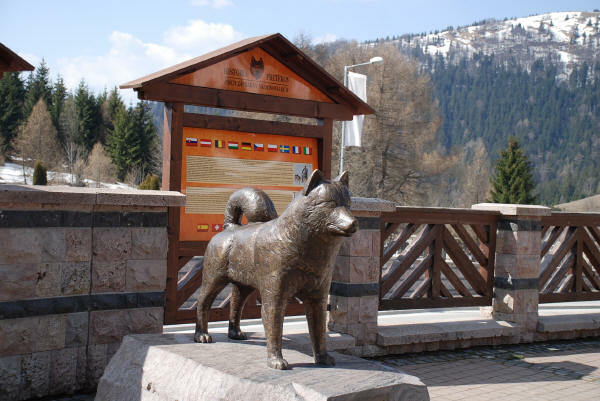 a) Korytnica – spa with healing mineral water for illnesses of the digestive tract and organs of elimination. These springs have been used for healing since the 18th century, the bathhouse since 1835. 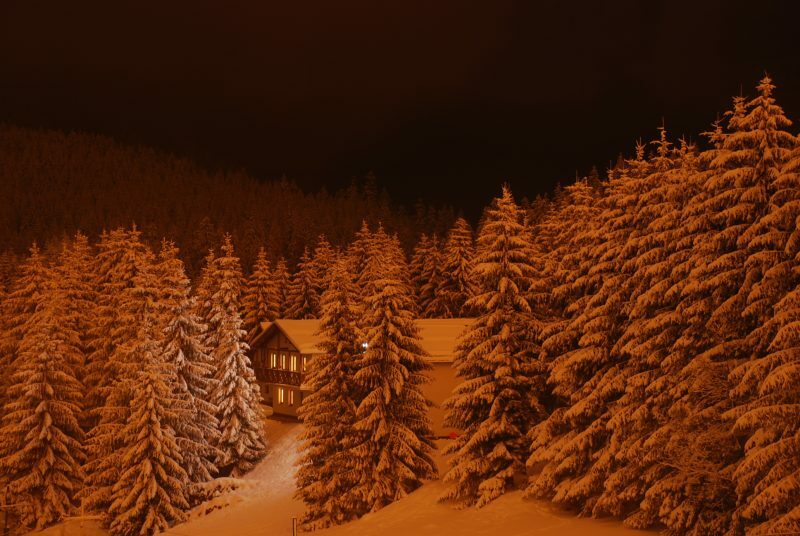 The spa is at an elevation of 830 m., the surrounding hills and mountain ridge go up a further 300 to 800 m. To get there, take the Ruzomberok road 8 km and then the road to the right. b) Spania Dolina – former mining community at the foot of the mountains is a memorial reservation of folk architecture. Preserved miners’ cottages terraced up the slopes of the valley form an interesting model of town planning. A covered wooden staircase runs 80 m. up to the Romanesque church built in the 16th century. Near the church and its presbytery, remains of the village’s fortifications are to be found. Of technological interest are the remains of the wooden aquaduct that was serviced to power the mine’s machines. The women of the town embroider and sell hand-made lace, well known throughout the country. This village is 14 km from Donovaly on the road to Banská Bystrica with a turning to the left at Stare Hory. 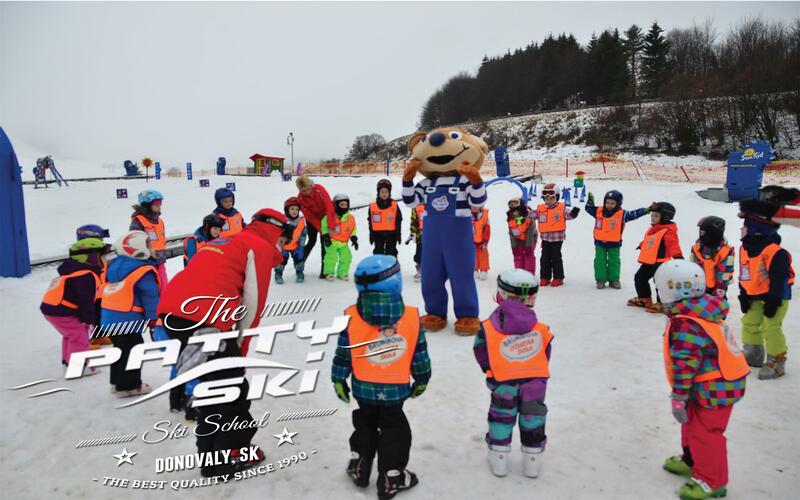 Day trips from Donovaly include outings to the highest peaks of the Vysoké Tatry and their tourist centers at Strbské Pleso, Smokovec, and Tatranska Lomnica among others. Another is the world-famous Dobsinskä ice Cave together with a visit to the romantic valleys of Slovensky Raj and a few of the historic towns of the Spis region.